Our sublime bouquet is a a truly splendid arrangement skilfully designed and crafted by our talented florists. 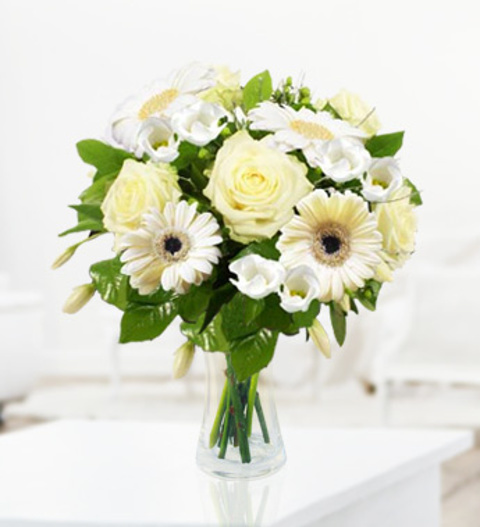 Each bouquet is arranged with fresh white roses and gerberas bringin a bouquet with that instant WOW factor. The arrangement comes with a FREE box of delicious Belgian chocolates is available for UK next day delivery. Chocolates may contain nuts.